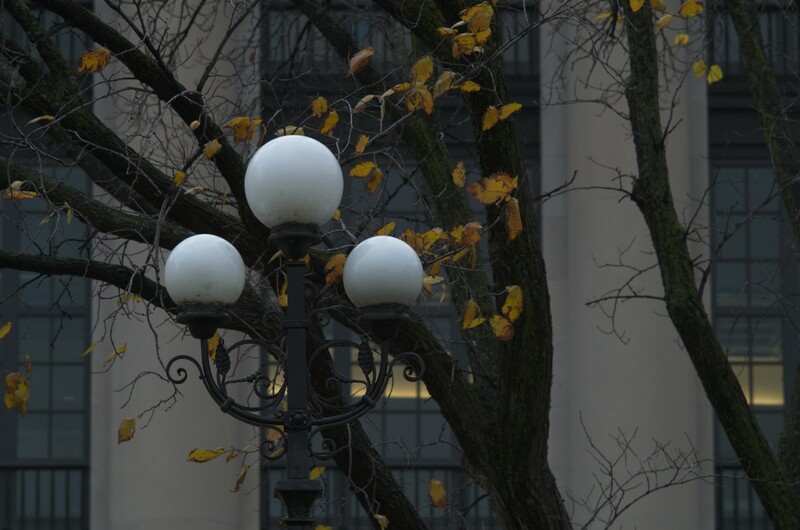 Twigs, ironwork, leaves and lamps; with the Wellington Building, c. 1924-1927, as a background. 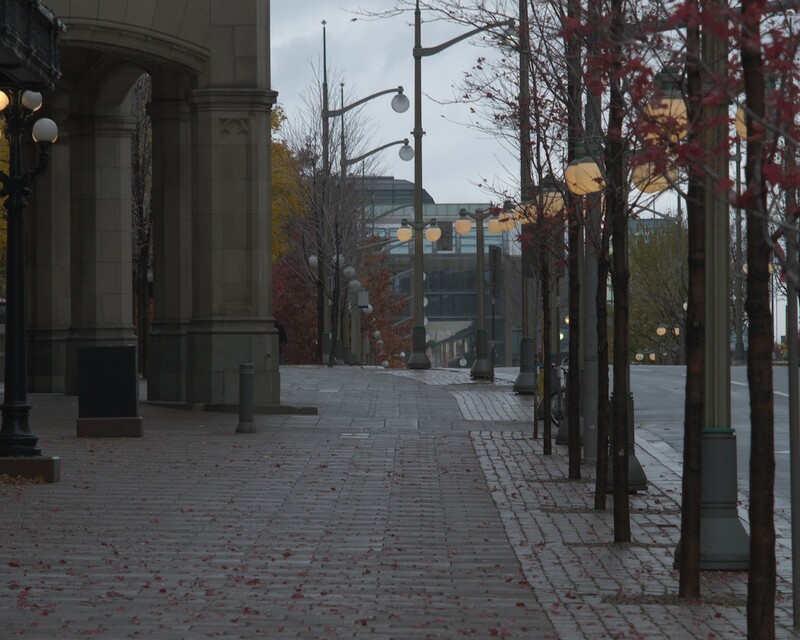 Beside the Château Laurier, looking down Mackenzie Ave, red leaves have been strewn by a mild rainstorm. The lamps are beginning to light for the evening. This entry was posted in Photography and tagged RemembranceDay. Bookmark the permalink.